Sensual & Decadent via Fragrantica. 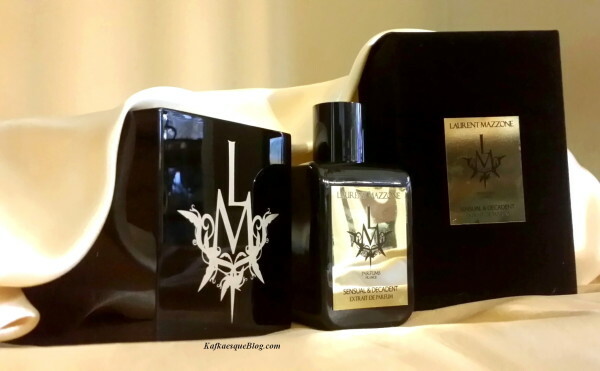 Sensual & Decadent, the latest release from LM Parfums, is a fragrance whose opening blew me away at first sniff and made me do a double-take so fast that my head practically swiveled off. I thought I had finally discovered my Holy Grail vanilla, a sumptuously buttery, creamy vanilla doused in buckets of cognac, rum, and then even more cognac still before being finished off with a lick of lush floralcy. After 5 minutes, I was tempted to lick my arm. After 15 minutes, I actually did so. In hindsight, it was a foolish idea (that I don’t recommend) but I simply couldn’t help it at the time. Sensual & Decadent’s opening is like an alcoholic gourmand’s wet-dream version of “vanilla,” and I was so intoxicated by its hedonistic extravagance that I rather lost my mind. Technically, the perfume doesn’t fall within the vanilla genre at all and is either a floral oriental (a “floriental”) or a fruity-floral, but that is a distinction that only makes itself apparent later on when Sensual & Decadent transforms. In the first hour, though, I was certain that I’d found my “Holy Grail” vanilla. 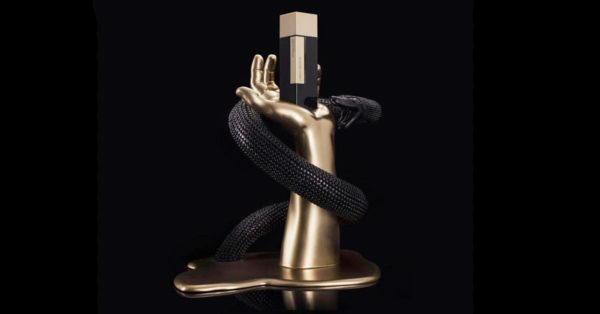 Unfortunately, Sensual & Decadent subsequently changes quite dramatically, turning into the sort of fragrance that is so much outside of my personal tastes that I came close to scrubbing it off and then, after 22 hours, I finally did so. I’m rather heartbroken about that because the opening… my God, that opening! I licked my arm, people, I actually licked my arm! Sensual & Decadent in its packaging. Photo: my own. 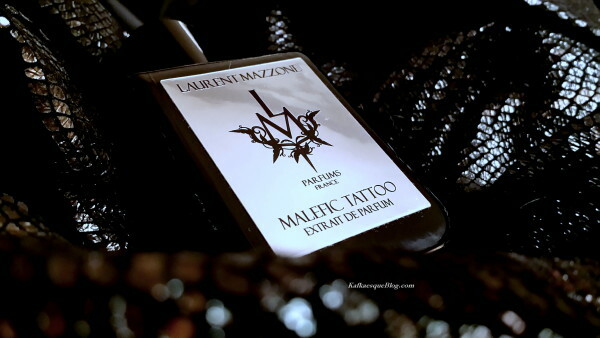 Malefic Tattoo is the latest release from LM Parfums, and a scent that is meant to evoke the darkness of a tattoo with “wicked” notes that “manipulate the emotions, desire, and lust” within the “dark chamber fulfilled with passion” that lies within each of us. Laurent Mazzone generously sent me a bottle, but I’m afraid my reaction was not the lustful passion which was intended. I have great affection for Mr. Mazzone, so I’ve sat on my review for weeks, using free moments to see if I could warm up to Malefic Tattoo, but nothing has changed. I find it not only disappointing, but mediocre, a tired derivative retread devoid of any distinctiveness, and cheap in feel. Cicatrices, the French word for scars, seems like an unusual choice of names for a fragrance that is a comforting haze of warmth, with juxtaposed contrasts like a quasi-gourmand opening of deliciously pillowy iris nougat next to a spicy, smoky, resinous heart that beats with licorice and patchouli. 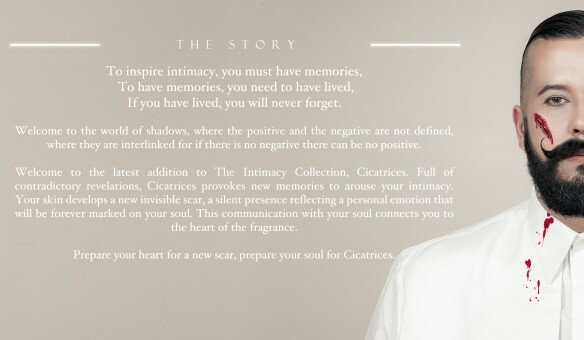 But perhaps ironic juxtapositions are the precise point of Cicatrices, the latest scent from LM Parfum. Its founder, Laurent Mazzone, explicitly sought to create “contradictory revelations,” and there is no greater contradiction than the symbolism of brutal, raw wounds versus sweet warmth.